We’re always looking for ways to make life easier for contractors. From expanding our catalog to extending Saturday delivery, we want to give you everything that you need to succeed. Lately, we’ve been working on an asset for our hydronic contractors to help them plan the perfect system. If you made it to one of our NTI training classes last week, you got an advanced copy of this. 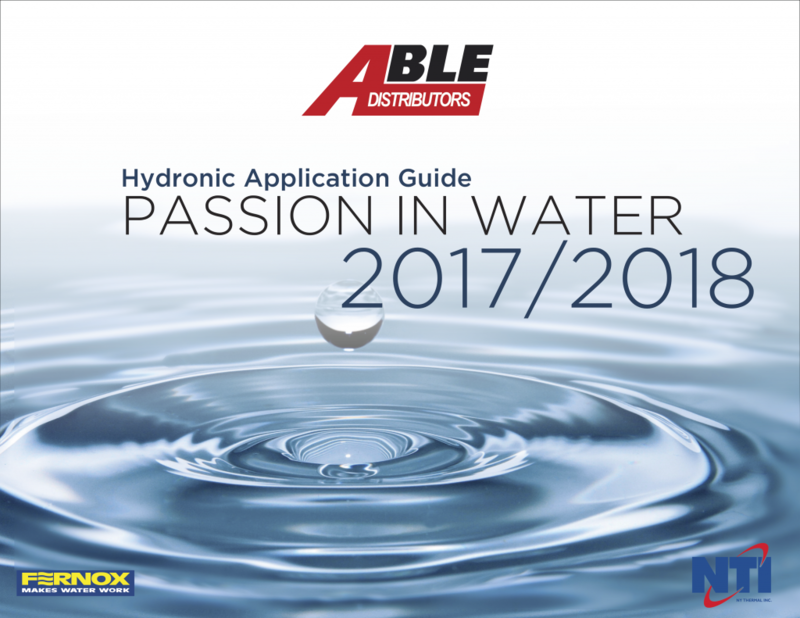 For everyone else, we are beyond proud to introduce the Able Distributors Hydronic App Guide. This booklet is packed with hydronic information. It provides overviews of the NTI product line and discusses how to Clean, Flush, and Protect using Fernox treatments. It also includes several application drawings of common hydronic systems as well as a high-resolution picture of the hydronic wall at our Northshore branch paired with a full-color diagram labeling all of the components. You can download your own copy by clicking on the image above or you can stop by any of our four branches to grab a hard copy!